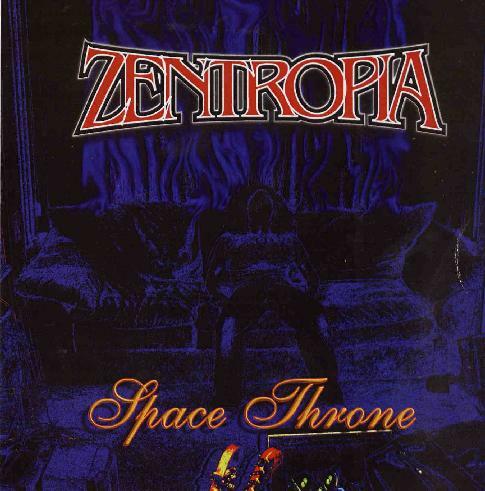 If you, like me, indulge in spaced out dub, then I can safely assure you, without doubt, that you will love Space Throne by Zentropia. When we think of dub, we may think of Lee ‘Scratch’ Perry, King Tubby, Scientist, Bill Laswell etc. However, none of the above, in my opinion, offers what Zentropia offers. Atmosphere and space. The sound is dark, electronic, synthesized, earthy, and ambient. It leans more to the side of the synthesizer and the drum loop, than it does to the full band experience. However, saying this, the sound does incorporate the method of dub, yet, it also explores experimental sound creation, much the same as Saturnia do. Very stoned and laidback. It is definite journey music and the listener can be assured of mental travel, and maybe slight dribbling. Zentropia is multi-instrumentalist and producer Mark Bray. Zentropia needs to be experienced without a doubt, and I would recommend this CD to all dub heads that would like to cruise through Jah universe.